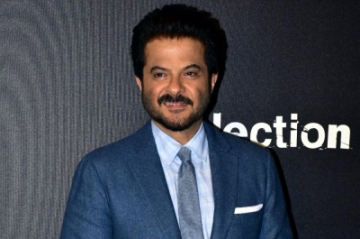 Choreographer Ranju Varghese says actor Anil Kapoor, with whom he worked on the forthcoming film "Total Dhamaal", is an explosion of positive energy and happiness. Varghese choreographed actors like Ajay Devgn, Anil, Madhuri Dixit Nene, Riteish Deshmukh, Javed Jaffrey and Arshad Warsi for the song "Paisa yeh paisa" from "Total Dhamaal". "He is an explosion of positive energy and happiness. His energy and vibe are infectious. His passion in his performance in each take was as if it was his first film. He saw to it that he was well rehearsed before the shoot," Varghese said in a statement. "My team used to be super excited about him coming for the rehearsal because we all knew that it was going to be a fun session with his one liners and his contagious smile," he added. He also found Ajay's personality "warm and welcoming". "He claims to be a non-dancer, but he would surprise you how he memorises moves without any prior rehearsal and performs the same with no mistake in every take," said the choreographer.